Correct. I used to play on it all the time back in the day. Nope. Although I probably need to. 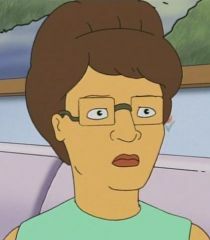 that reminded me of Peggy hill from King of the hill. her feet size is 16.
anyway, not considerably, I'm size 10. TUBM likes French stuffs. Not counting French fries. I like some french philosophers, and Jean-Luc Godard's weekend is one of my favorite films. so yes. True annd false. Whilst I like Italian food my stomach does not! TUBM has a housepets! 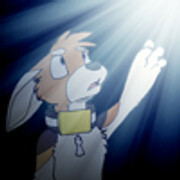 forum avatar. not as often as I should but yeah. The user below me has seen a car accident in the past twenty-four hours. Unless you count ones that are the television, then no. No. An' I never will..
TUBM wears black a lot, but isn't a goth/emo. No, not really I wear a colorful assortment of clothing. False. I do enjoy reading every now and then, but I'm not that into it. TUBM has a lot of band t-shirts. True, though i'm not a full-time student this semester. TUBM has been to the movie theater recently? Let's just say if i didn't do any chores my house would be a landfill. TUBM has cable/satellite at their place? Nope haven't seen it, but I may in the future. TUBM does not live in the U.S. True. British through and through. TUBM has been to england. TUBM has bought a new article of clothing in the past week. TUBM plays a musical instrument. Yes and no. I used to play the piano, but I haven't played in years. well, CURRENTLY, England is VERY cold. dose that count? Yes! But where I live snow does not stick or come often. ..why do people forget they need to put somthing for the person below? False, I always get a burrito. False. Not really a fan of any sort of zombie shows or movies. The person below me has an Xbox 360.